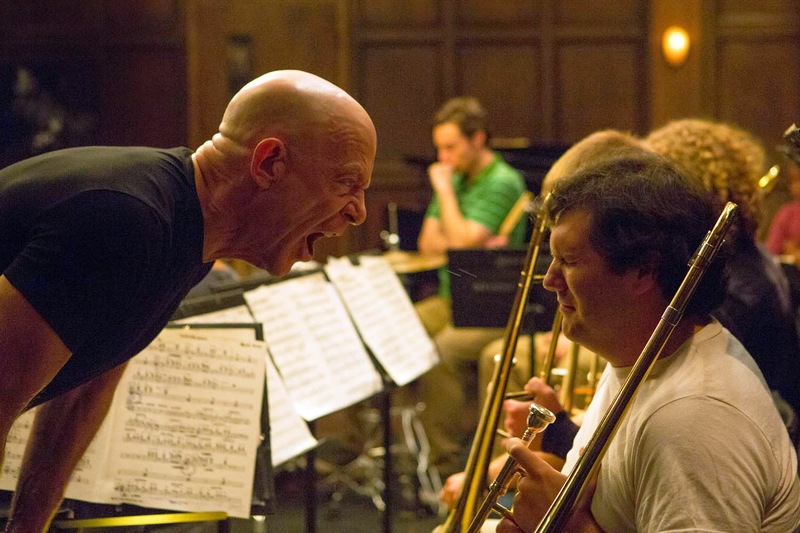 A while back, our other writer on the blog, Rob, wrote a review for the film Whiplash, because I had not gotten a chance to see it. You can read his review here. The other day I finally got a chance to see the movie, and it is easily one of my favorites of 2014, if not my number one favorite. It is a beautifully shot film that tells a very captivating story driven by two of the best performances of the year in Miles Teller and now Academy Award winner J.K. Simmons. But many do not know the story (and the struggle) of his this film was made. Writer and director Damien Chazelle was trying to get his film made but he couldn't get funding for it, as it usually is with independent films. So Chazelle made it into a short film and premiered it at Sundance Film Festival where he soon after received the funding to make the full film. With the release of Whiplash on Blu-Ray, the short film has now become available online. It saw Johnny Simmons (no relation to J.K.) in Teller's role as Andrew, and it had J.K. in the role that he would go on to play in the full length film. When you watch the short film, it is clearly an important scene from the full movie, where Andrew first begins to play for Fletcher. It's hard to review this on its own merits, as to me it feels like simply a scene from a larger movie. Maybe that's what Chazelle intended it to feel like, as he intended it to always be a full length film. Simmons is fantastic in this just as he is in the movie. While I liked Johnny Simmons in the role, he was nothing compared to what Teller brought to the role. This short was also very well shot and I recognized a lot of the camera angles and whatnot from the scene in the film. Overall, it's very interesting to watch this short film and see how it has progressed into the full length movie. While the movie is ultimately better, this is very well done for a short film and I'm glad I got the chance to see it. What do you think? Did you like the short film? Did you see Whiplash? How does the short film compare to the full length feature? Leave your thoughts in the comments section below.